Welcome to my Kangen Water site! This site is all about the amazing effect of alkaline water produced by Kangen water machines that is beneficial to ones’ health and wellness. It has transformed thousands of people lives worldwide with their own struggle on their own personal health issues from Diabetes, Arthritis, Gout, High blood,Acid Reflux, Cancer and other forms of diseases that are very common in today s world. It has helped me and I want to share it to the world that it maybe also the only solution to whatever health problems you maybe encountering right now. 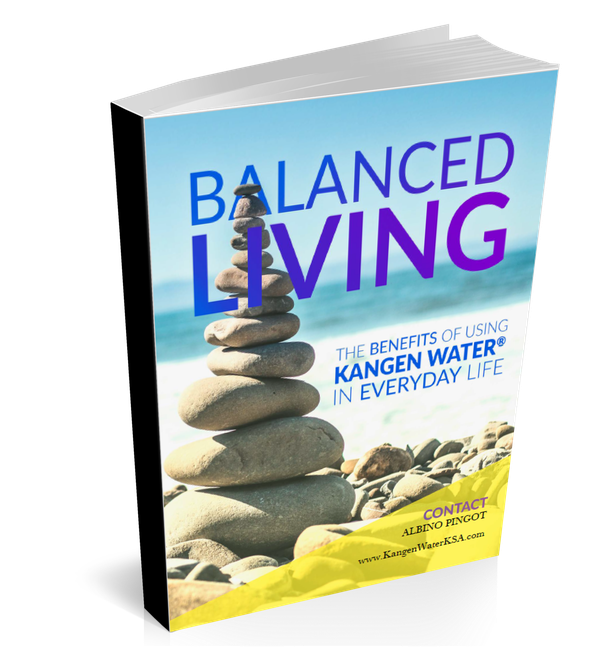 Read on as I share my own personal kangen water experience. Anyone who have gout experience can relate on how painful this is. You can’t sleep because because of the “tingling”severe pain. Gout attack usually comes at night. Ouuuoohhh…(I can still feel the pain as I am writing this) I still remember the pain I am feeling as this is coinciding with the rhythm of my heartbeat or flow of the blood in my body. Really Albino!! I thought you are Athletic? Many have known me to be a sports’ enthusiast and being active in any sports’ activities from basketball, running a marathon, badminton biking, hiking,etc…and never could imagine being experiencing such unhealthy conditions. Of course, the first thing to do is seek some medical attention especially on the first painful stages. The usual routine for my case is taking my blood sample for analysis . A what !!! ( shocking truth revealed ) is my first reaction when my laboratory results came out!! Sugar Level showing in High Alarm levels!! Oh No!!! What happened to you Albino?? -Lessen red meat intake especially internal meat organs for pork or beef. Oh No!! Those are my favorite foods! Oh No Again…!! I am saying Good bye to McDonalds. A What Again!..another Favorite food groups of mine. A What again!! Its everybody favorite!! This is too much I said to myself…!! ENOUGH is ENOUGH.! What should I eat then ?I ask my doctor? DRINK A LOT OF WATER!! Replenish and Cleans Your Body (no problem with this one, we all drink water daily, The question only is how much or how frequent you drink it)So I took the doctors advice and taken my prescribe medicines. and the usual thinking is the medicine will take care of eventually. When the pain is gone we all get back to our bad habits…. Bad Habits are really hard to break. GOUT STRIKES BACK THE FOLLOWING YEAR! !…ANOTHER PAINFUL EXPERIENCE.!! So another doze of medicine. This time my doctor gave me a maintenance medicines to take for months to lower this acid and cholesterol levels. With my lesson learned I took these medicines and avoided the foods as per my doctors advice. All went well-being as i followed the doctors advice..So it became my yearly check up (blood testing) to see if my Uric acid and cholesterol levels is improving. My Gout no longer bothers me the following years taking this maintenance medicines. What bothers me is my laboratory blood testing results showing only slight improvement and still at alarming levels..so anytime this “gout will strike me if I don’t take these medicines and watch my diet and what I eat. So i took my own research (thanks for the internet and Google)looking for alternative solutions. MY DISCOVERY OF ALKALINE WATER. What I Learned through my own research browsing thru the internet watching YouTube videos on how to lessen the acidity levels in your body is simply by drinking a lemon juice . LEMON JUICE produces an alkaline water and has an alkaline effect inside your body. To cut the story short I added lemon juice in my daily drinking routine and has become my maintenance medicine throughout the years. Yes !… Gout never strikes me the following years…. MY LATEST DISCOVERY OF KANGEN WATER. I’ve always heard of Kangen water machines producing alkaline water and it’s many benefits but not took notice of because as you know my health condition went well smoothly through the years especially with my discovery of the lemon juice. Although I have not experienced any Gout attacks on last few years my Blood Test Results still shows a high uric acid level and my cholesterol and sugar levels are still reaching the high alarm levels..
I’m still in danger of another Gout attack ! !…GOUT is still there and just waiting around the corner to strike at anytime! I still feel and need to do something before it strikes me again. To Cut The Story short, I invested and purchase the Kangen water machine. WHY I INVESTED IN KANGEN WATER MACHINE? “Health is Wealth as They Say” not just for my “gout” problem but also with the overall health and wellness of my body. Anyway I thought to myself Drinking water is a basic necessity and a daily need for every human body. I am also spending amount of money on bottled waters which you are not still sure how safe are they, during the processing of these ones, Why not invest to these machines which you are assured of the health benefits of the produced alkaline water in the long term. This is an Bonus, having purchased your Kangen water machine is entitled you already to have a business of your own. This is like hitting “two birds in one stone”. You are becoming healthy and a chance to be wealthy by just sharing the health benefits of this amazing water to others. In the end you have not just help yourself but you have the opportunity also to help others become healthy and wealthy with this kind of business opportunity. WHY PURCHASE AN EXPENSIVE MACHINE ? *How much do we spend in our water? (Bottled or filtered)? *How much do we spend when we got sick and Go to the hospital? *How much do we spend for the maintenance medicines and supplements? The Ultimate goal of this site is to inform and share the amazing benefits of alkaline water and how this will transform one’s personal lives in both aspects of Health and Wealth.